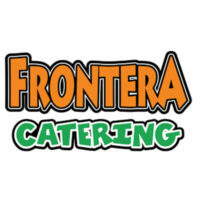 Frontera catering provides Mexican food; they aim to provide unique and great experiences to their guests. Frontera treats their employees like family and that translates even with their guests. Norberto Sanchez started Frontera back in 1987 to share authentic food from Mexico. Frontera has 12 locations and a team dedicated to catering to provide food to your parties and other events. Frontera prides itself in their philosophy: “Everyone leaves happy”. They want to provide great food for their guests so they come again. For 13 years now, Frontera has won Atlanta’s Consumer’s Choice Award. Numerous awards from Rockdale, Henry, Gwinnett, Fulton and Cobb Counties were also given to Frontera for Best Mexican Food. Their catering menu is available for full service, take-out and delivery. There are different choices of classic Mexican food. All these include Mexican goodies, side dishes and dessert. With a full service catering, you get a full menu of taco, fajita, ultimate mex-mex, street tacos bar and combo bar. The staff will assist you with your catering needs. Their goal is to make sure you are satisfied with the service making this suitable for family set-ups. The helpings are very generous and you can add appetizers to your orders. There is a wide variety of choices of food and drinks. Frontera has a team dedicated just for catering so you can be sure that you get the assistance you need. Any branch consistently carries out the principles of Frontera; to give excellent service so that everybody leaves happy. Ordering is easy with just a few simple steps. First, go to Frontera’s website. Next, click on the Contact menu. Then, enter your information and the event information as well. Finally, hit the submit button. Delivery or pick-up details are available upon ordering. They also have a number for you to call for additional information. The business is open from 11am to 10:30pm every day from Mondays all through the week until Sundays. The Queso dip and street tacos give the authentic Mexican feel with choices of chicken, pastor or marinated pork, carnitas, brisket and carne asada. Frontera also offers combo deals which you can also customize to your preference. You can add in extra cheese dip or guacamole to your order. A wide variety of choices are available, options for the taco bar, combo bar, and fajitas bar include grilled steak, grilled chicken breast. The Mexican goodies include lettuce, cheese, pico de gallo, sliced jalapeños, sour cream, diced tomato, tortilla chips, red salsa, grilled tocayo salsa, and green tomatillo salsa. The side dishes include Mexican, white rice, refried, Charro and black beans. Frontera has the authentic Mexican menu for you. For a small group of 4 people you can get fajitas and side dishes for around $30 to $40. A bigger group of 6 people getting burritos, side dishes and drinks would cost around $50 to $60. Delivery and pick up options are available. Frontera caters to your specific needs and the staff will gladly assist you in any way possible to get an amazing experience at Frontera.